DEFEND OUR LOCAL ESTATES AND PARK … AND SUPPORT EACH OTHER! The Council’s planning department are proposing a demolition and ‘redevelopment’ zone for the ‘Broadwater Farm Area’. This area includes not only the estate and all its marvelous community facilities, but also Somerset Close, Lido Square, Moira Close and the houses along Lordship Lane to the north. We have been told that the proposal would include housing to be built on a large chunk of the north end of Lordship Recreation Ground, including the enclosed sports field, to temporarily re-house some of those displaced by any future demolitions. The proposed zone is indicated by a red line on a map (see right) taken from the Council’s draft Local Plan for Haringey 2011-2026 – ‘Site Allocation 63’. If this proposal is not chucked out now it would mean increased powers for property developers throughout that zone in the future, backed by Council encouragement and support. There is a borough-wide consultation over the whole draft Plan, with March 27 as the deadline for people to object to any proposals. We say object strongly and object now! This totally unnecessary attack on local communities and our park would cause massive stress to all concerned, displacement and disruption for years, and undermine all the successful efforts over decades to build a strong and stable local community and to improve local facilities. Local residents have worked long and hard to make Broadwater Farm one of the most attractive and well-served estates in the UK, and to make Lordship Rec the great park it now is – including the sports field, home of Broadwater United youth football teams. The estate and park have won many national awards for successful community-led regeneration and empowerment, and are now admired throughout the world. The Council should be celebrating what has been achieved instead of allowing planners to dream up outrageous proposals to destroy existing homes and facilities and break up our communities…. The residents, and the Residents’ Association, have worked with the Council to dramatically improve the estate over the last 30 yrs. It now has great facilities, play areas, health centre, schools and so on. In the last 6 years a range of refurbishments and repairs have been made – yet bizarrely it has now been put on a list of Council estates facing ‘redevelopment’. We say it is the Council’s duty as the landlord to finish off all the works started and ensure any repairs are done promptly. These are pleasant low-rise estates of secure and affordable housing with gardens. Council planners, however, have somehow proposed these particular estates to be ‘suitable for tall buildings’ of 6-11 storeys in the future. Over the last 10 years Lordship Rec park users and the Friends of Lordship Rec have worked with the Parks’ Service to achieve a successful, nationally-celebrated, community-led regeneration of Tottenham’s largest public park. The Lottery would demand their £4m grant back! The park is safeguarded and protected for all time by a covenant preventing any part of it being developed or sold off – and park users have pledged to defend it. A Council planner has told us that the proposed use of a large part of the Rec for house-building is because ‘otherwise the demolitions on the estate could not go ahead’. Broadwater United officials and volunteers have managed and helped maintain this essential facility for youth football for over 20 years – there are currently 11 teams based there. This has made a huge difference to young people in the area, being a key part of the area’s positive transformation. The council and Housing Associations have an obligation to re-house secure tenants if their homes are knocked down. But where? There would be pressure to accept places out of the area, or housing association properties with higher rents and poorer tenancy rights. Leaseholders would be bought out, but would be unlikely to be able to afford anywhere local (probably not even in London) to move to. Private tenants on the estates would be made homeless. Residents would have to be ‘consulted’ but such ‘consultations’ are usually biased in favour of what the Council has already planned for the area. Why are they proposing this? The Council aim to cram thousands of extra homes into an already densely populated borough in order to reach the Mayor of London’s housing targets. These homes are usually expensive private homes unaffordable to local people in need. Property developers care about only one thing, maximum profits for themselves. This suits the Council as they want to sell off public land and facilities to generate income. The result is local people being priced out of Tottenham in favour of ‘gentrification’. Its vital we continue to speak out for the needs of our community, and support each other. That’s been our strength and our success over the last 30 years in this area. Please support and get involved in local community groups. Most urgently, please object NOW! Deadline is March 27. We object strongly to the draft Local Plan proposal SA63 for a demolition and redevelopment zone covering Broadwater Farm, Somerset Close, Lido Square, Moira Close, some houses along Lordship Lane, and the northern part of Lordship Recreation Ground, including the enclosed sports field. The proposal would cause massive stress to all concerned, displacement and disruption for years, and undermine all the successful efforts over decades to build a strong and stable local community and to improve local facilities. It breaches a whole range of planning policies which should protect our community. It is unacceptable & should be withdrawn immediately. Instead the Council must work with the community to protect, support & improve all the existing homes, estates, facilities & communities in the area. This is part of a long, formal, statutory objection process. This proposal and all the Local Plan documents have to be submitted to an independent, national Planning Inspector at a public enquiry (probably lasting for some weeks in the Civic Centre) later in 2015. The Inspector has the power to reject any of the proposals. The objections will be collated, and those objecting will be able to put their case directly to the Inspector. Steve Kelly from the Council’s Planning Department spoke at the Tangmere Steering Committee on Broadwater Farm in February and when challenged admitted that the land on Lordship Recreation Ground would be needed for housing for people displaced by any demolitions on Broadwater Farm. Matthew Patterson, the Council’s Interim Head of Policy, Strategic Transport and Infrastructure, also confirmed to a rep from the Friends of Lordship Rec on 20th February that the inclusion of the northern part of Lordship Rec in the development zone is for the power to build housing to ‘decant’ the residents of Broadwater Farm (or many of them) into that area of the park ‘otherwise the demolitions on the estate could not go ahead’ due to the impracticalities of re-homing those affected during the demolition and redevelopment works. Gavin Ball from the Council’s Planning Department told a rep from the Friends of Lordship Rec that ‘a deliberately large zone’ was chosen ‘for maximum flexibility’. It included ‘additional powers’ to achieve redevelopment. He said there would be ‘no net loss of open space, but that could include a realignment or a land swap.’ [He didn’t say where]. Most of the land in the zone is owned by the Council, but additional powers ‘could include increased powers of compulsory purchase of private land’ such as the homes on Lordship Lane. When challenged about the proposed re-designation of the 3 low-rise estates in the northern part of the zone as ‘suitable for tall buildings’, he said that this is because ‘they are close to transport routes’. We note, however, that this directly contradicts policies which protect the existing character of each neighbourhood, in this case the low-rise nature of all the existing buildings on and around those 3 estates. The proposals have also been approved for consultation by the Council’s ruling Cabinet. The sudden threat to Lordship Rec would bring the Council into direct conflict with the Lordship Rec park users’ organisations, and all the funding bodies (Lottery, GLA and the Environment Agency) who have supported the successful and nationally-celebrated community-led regeneration of Tottenham’s largest public park. the park is safeguarded and protected for all time by a ‘Fields In Trust’ covenant since 2012, preventing any part of it being developed or sold off. The park was runner-up in national Fields In Trust awards for ‘most improved park’. accessibility and quality of existing open space. 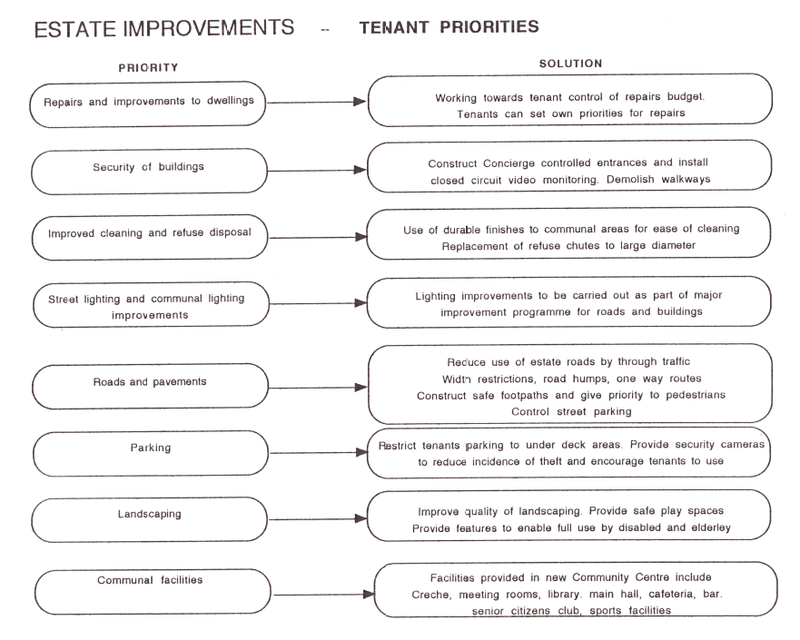 Some key Council policies regarding its suburban character and ‘tall buildings’. Local Plan (2013), SP11: All development shall be of design that respects its local context and character and historic significance, to contribute to the creation and enhancement of Haringey’s sense of place and identity. 6.1.15 Haringey is characterised by predominately low-rise (2-3 storeys) residential suburban development across the borough and 3-4 storey development in its town centres. Throughout Haringey, residents of Council estates are concerned, confused, shocked, angry and outraged at highly controversial Council threats to ‘redevelop’ their estates to bring in private housing. Whilst Council officers and cabinet members fly in March to Cannes in the South of France for a global property developers’ convention [MIPIM], the Haringey Defend Council Housing campaign is encouraging residents of these estates to speak out against these threats, and to organise to defend their communities. The list of estates on their initial ‘regeneration list’ is in the ‘Alterations to Strategic Policies’ (Alt 53, page 22). Other blocks and estates not on this list such as Imperial Wharf are also facing demolition. The document is clear about the council’s conception of Estate Regeneration: ‘…reprovision of low quality existing council housing with an equal quantum (on a habitable rooms basis) of higher quality modern social housing is not a financially viable option.’ (Alt 64, page 26-27). In reality it is about promoting private property development and unaffordable housing, and selling public land to generate income for the Council. What would this mean for estate residents – if not stopped? Many estates are included on Haringey’s Site Allocations list. Inclusion on this list legally enables developers to put forward plans to build new housing or other buildings on the site. So when the Council says that ‘there are no plans for new development’ this is literally true, as the Site Allocations list only came out recently. Inclusion on the list is, however, the necessary stage before development plans are made. Plans for each estate could cover some or all of the current housing, and parcels of land could be sold off. This means that, if this was allowed to go ahead, there will be fewer Council housing homes – the only homes that are genuinely affordable and secure. Social housing is almost always thesedays built by Housing Associations and is likely to have only 5-year tenancies and significantly higher rents. Private housing is likely to be totally unaffordable for local people in need. In any case this arrogant and totally unnecessary attack on our communities would cause massive stress to all concerned, displacement and disruption for years, and undermine all the successful efforts over decades to build strong communities and improve local facilities. Object now The council are open about their so-called regeneration strategy: increase their income from business rates to compensate for cuts in funding from central government. This means attracting those with disposable income into the borough. Encouraging business investment into the area is contingent on altering the demographics of Haringey bring in the rich, drive out the poor. Following the riots in 1985 the residents of the estate stepped up their efforts to improve the poorly-designed estate which had few facilities. The community-led regeneration of the estate attracted tens of millions of ££s of resources and has been a huge success. 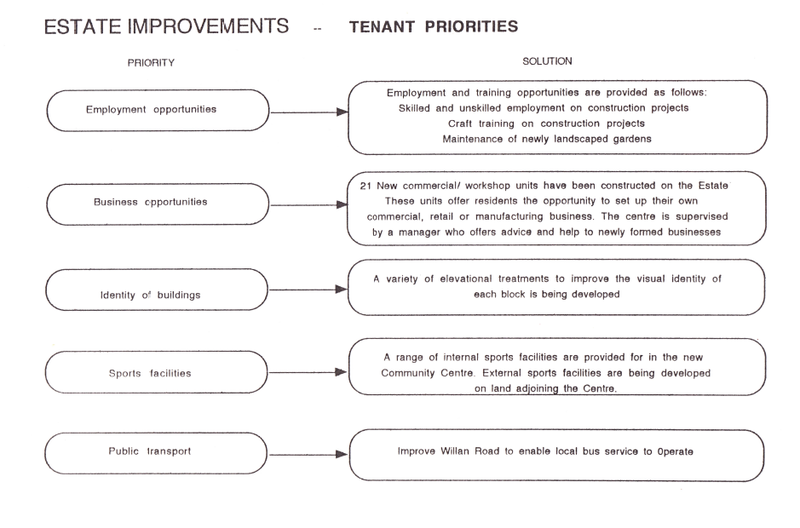 Improvements included concierges for all blocks, play areas, landscaping, workshops for rent, health centre, community centre, new school campus, bus route and more….